In a world full of hate and sadness there are still a few people who believe in the healing power of love. The people who have a fiery burning passion to spread love to the world and show others that love still exists. They choose to uplift and serve their fellow humans simply because they are human. They uphold no hidden agendas or ulterior motives. They simply help where they see a need. We placed a call across the globe! Those people have formed together to join in a united task force we call The Super LOVE Heroes. Each individual has activated their super powers of love and compassion and lives to serve our mission in their everyday lives as well as together. OUR MISSION: To BE a catalyst to ignite the super power of unconditional LOVE in every being on the planet!! We organize local projects and missions to provide aid to individuals in need. We also look for ways to provide random acts of kindness both as individuals and conglomerately. Anyone who has an idea is welcome to present it and we work as an organization to bring the idea to life and get volunteers to help out. We are a network of people with a desire to help others. Through this network we spread word of people in need in different communities across the world. Anyone in that community who has a spare hand can help when they feel called. The bigger the network, the more people we can help. If we work together as a community to uplift one another then things get easier for everyone involved. Super Love Heroes was founded in 2012 by a group of friends who wanted to do something to impact the world in a positive way. The idea was to spread love dressed as superheroes, because who doesn't like superheroes? Plus, we enjoy dressing up, it makes the world more fun to live in. Spearheaded by the late Laura Zamora a.ka. Lady Z, Super Love Heroes took off. It started with gathering people to help feed and cloth homeless individuals around DFW. This has been an ongoing mission that we love to do as an organization. 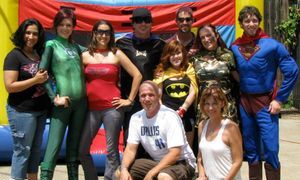 For approximately 3 years we held a birthday party each month for the children and woman at a local woman's shelter. We have also inspired others by holding positivity signs. Through the combined efforts of giving back to the local community, many others have been inspired and started their own charitable projects. We are brimming with ideas but we need resources and more people to make things happen. To that end, we plan to shout it from the rooftops about what we are doing. 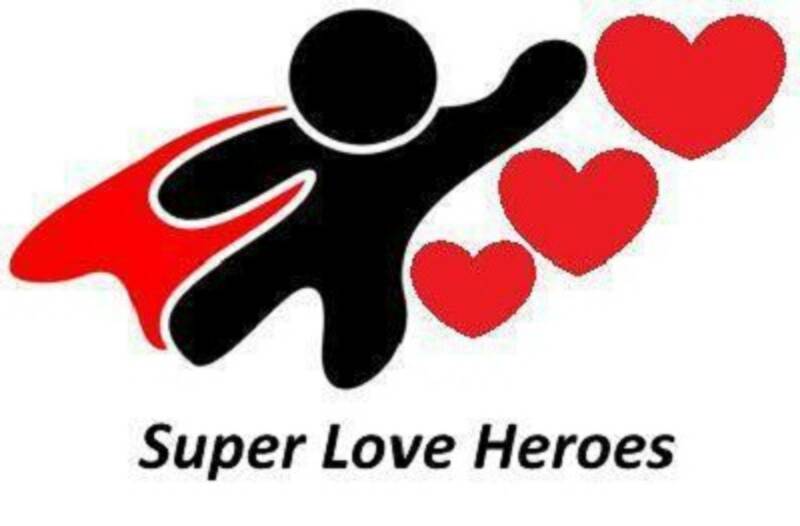 Maybe you can help us too and tell everyone you know about the Super LOVE Heroes and their super love missions. Laura Zamora was one of the most amazing women anyone could say they ever met. She moved from her heart space and welcomed everyone who crossed her path and made them feel loved. She was driven and passionate about helping anyone who expressed a need. Without her Super LOVE Heroes would have remained just an idea. She had a special talent and gift for finding people and bringing them together in harmony and to uplift the community. She organized several missions to help feed and cloth homeless people in Dallas. She ran a 3 year project to bring smiles to women and children in need by throwing a monthly birthday party at a local transition home. 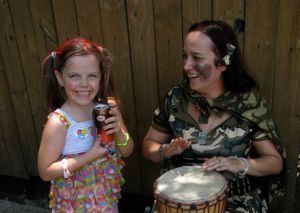 She would bring presents and volunteers would play with the children and pamper the moms, and of course eat some cake. Through her efforts she was able to inspire others who also began their own projects and missions. She would help promote and bring more people together to volunteer in helping with the missions and projects. She left behind a legacy of love and inspired hundreds, if not, thousands of people to spread more love out into the world. Today it is her friends and those who have been inspired by her that help to carry through the vision she got started back in 2012. Laura we love you and we miss you. You will never be forgotten! We will carry out your vision and see the world become a better place through unconditional love. We will BE the change.